User Experience – Activity circles which easily direct you where to do what you want to do and has the same user experience across all devices. One Meeting Architecture – There are worldwide datacentres which are hosting WebEx which means data uses the nearest service location, no transmission of data across the world for local calls which can add network latency, jitter and packet loss hindering the experience. Physical & Virtual – WebEx is on any device physical or virtual, whether in your pocket on your mobile or an endpoint in a boardroom. User based licensing means you decide what device and medium you use for your call; proximity enables this capability. True Hybrid Platform – You can use a mixture of cloud and on premise environments without feature gaps on either platform, protect your current investment and allow for backward compatibility if you want to deploy more on premise in the future. Open & Extensible – The WebEx platform is open source and has an extensive library of APIs and bots which can be used to integrate any platforms the customers use. The entire Cisco WebEx platform is API strings in the backend. Add a new Cisco Webex cloud-based phone system. 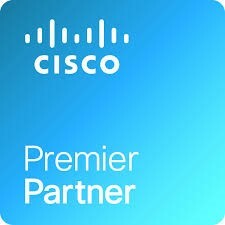 Or ask us about Cisco Hybrid Services and connect your existing Cisco phone system and its hardware to Cisco Webex. Meetings with up to 200 participants on the WebEx platform including guest invites and scheduled conferences.